Are you looking for a fast and easy meal? Look no further. Midnight Spaghetti can be thrown together in less than 20 minutes. In fact it’s name comes from the fact that it’s so easy it can quickly be thrown together at the end of a long day, even midnight. It’s also vegetarian, and could be gluten-free with the appropriate pasta. If you like meat with each meal, feel free to throw some cooked chicken or cooked Italian sausage in with this as well. Serve this with a side salad, maybe some garlic bread, and your done! In a large skillet or frying pan over medium-high heat, bring salted water to a boil. Add the pasta noodles. Reduce heat to simmer. While pasta is cooking, saute the garlic and red pepper flakes in the olive oil, over medium heat. Be careful not to burn the garlic, reduce heat if necessary. After pasta has been cooking for a few minutes, remove about 1/2 cup of the water from the pot and add it to the garlic and oil. As soon as pasta is tender to your liking, drain all the water and add the pasta noodles to the pan with the garlic. Toss the pasta to coat with the ‘sauce.’ Give the basil leaves a rough chop and sprinkle them over the pasta, along with the halved tomatoes. Serve warm and top each serving with parmesan cheese. This dish has a little kick to it as well. So it’s a little more exciting than just pasta! Give it a try. You can add as much spice as you want. I try not to go too spicy, for my kids sake, even they LOVE this pasta! I’m sure you will love the fresh ingredients and flavors this dish provides. Visit my Link Parties page to see where I link up. Also linked up with Hun…What’s for dinner? Have a great night, Leia! Made this tonight and it was delicious, fast and easy! I added some sundried tomatoes and their oil too, just because I have a fetish for them. Great recipe, thanks! I’m so glad you tried it! I bet it was super good with the sundried tomatoes. Thanks for commenting, Casey! Just wanted to let you know your spaghetti is one of my features from the blog hop! 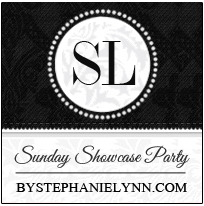 Hope you stop by tomorrow to link up any new posts you have and grab a featured button. Have a great weekend! What a great simple pasta dish for late or busy nights. Thank you so much for sharing at Simple Supper Tuesday.